It’s ironic that at the same time Facebook is proposing a massive expansion that will worsen the housing-jobs imbalance on the Peninsula, the company’s CEO, Mark Zuckerberg, and his wife, Dr. Priscilla Chan, are handing out money to housing advocacy groups. Facebook’s latest expansion proposal, called the “Willow Village” on Willow Road near the abandoned Dumbarton line, will result in 9,500 additional employees. Yet the development only includes 1,500 homes — which were the same homes Facebook promised the city after it got approval in 2016 for a 1.3-million-square-foot development on Constitution Drive. 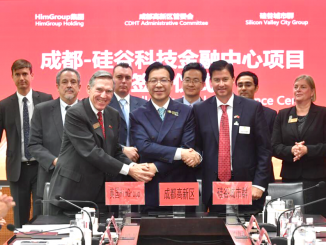 In 10 years, the company anticipates a headcount of 35,000 in Menlo Park at all of its offices, which is more than the current 33,888 population of the city. Yet it seems Zuckerberg and Chan are aware of the housing crisis that is gripping the mid-Peninsula. Their foundation has announced more than $23 million in grants to organizations that advocate for housing. That’s commendable. But it’s ironic that on one hand they are providing money to groups trying to solve the housing crisis while on the other hand Facebook is worsening the problem. I generally support new development. I think that you have the right to do pretty much what you want on your own property as long as you don’t create problems for your neighbors. The Willow Village will create two problems — it worsens the housing problem and will flood the east side of Menlo Park with traffic. Both problems can be solved. • First, Facebook should build enough homes to match the number of new employees who would flood into the area. • Second, instead of adding more cars to already crowded streets, Facebook should step up its use of those white luxury buses that tech companies have made famous. House as many workers as possible on the campus. And for those who live off campus, have them use the bus. I think accomplishing these two goals is possible because Zuckerberg and Chan have already indicated that they’re concerned about the housing crisis and are willing to spend money to combat it. It’s up to the Menlo Park City Council to insist on the new housing and the use of employee buses. In my opinion, the council whiffed when it came to the last two big developments it approved — Stanford’s 500 El Camino project and the Greenheart complex at 1300 El Camino. 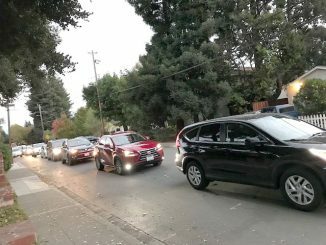 According to their environmental reports, both projects will put a lot of cars on El Camino and surrounding streets, making a bad traffic situation even worse. In both cases, council should have insisted on more measures to reduce traffic. When they’re built and fully occupied, I fear the community will go into a crisis with all of the cars coming in and out of these places. These problems were preventable, but council lacked the backbone to negotiate a good deal for residents. I think council members were so anxious to get rid of those vacant car lots on El Camino, they were eager to take the first offer that came along. I hope that doesn’t happen again with the Willow Village. Council should insist that Facebook doesn’t make the lives of its neighbors worse. And if Facebook refuses, council should have the courage to reject the project. Could city’s move toward labor-negotiation transparency spread to school district? It’s unfair to hold Facebook to a higher standard than the other tech companies. If it’s important for developers to provide housing, then that should be a city ordinance. But there’s no such law, and making such a requirement on an ad-hoc basis, as Price proposes, will just land the City in court (up against a company with deep pockets). 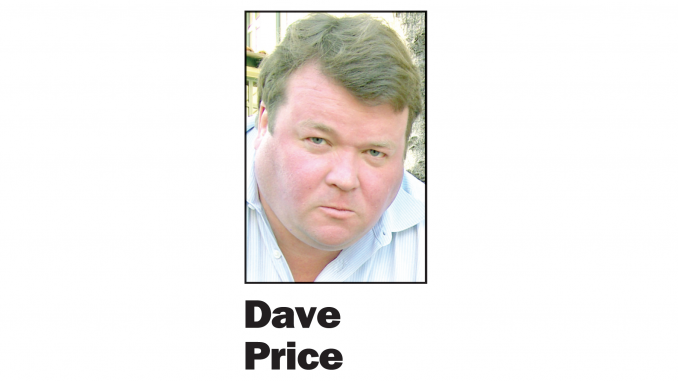 Another hare-brained scheme from Dave Price. Price’s idea isn’t off the mark, he’s just 20 years too late. If city councils were requiring tech companies to solve thier housing problems back then, we wouldn’t be in the mess we’re in today. If city councils were requiring tech companies to solve their housing problems back then, we wouldn’t be in the mess we’re in today. 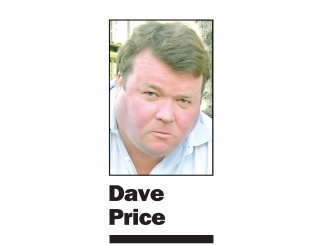 I have the feeling Dave Price isn’t a good neighbor. Requiring Facebook to build the same amount of housing as the jobs they create is a prudent move council can take to ensure this project doesn’t make the housing/jobs imbalance worse. Every one of those new workers will displace somebody else who will essentially be outbid. The supply of housing needs to be increased so local residents aren’t harmed. Betcha this doesn’t hit the Facebook newsfeed. But It’s unfair to hold Facebook to a higher standard than the other tech companies.